Tired of cleaning your Glen Iris home or residential property and have no more time for yourself and family? GSR House Cleaning Service Glen Iris is the best solution to your cleaning problem. You do not have to settle with incompetent cleaners or wait for your home to get very dirty. Our GSR local cleaners will help you maintain a fresh and clean dwelling you can get all excited and can’t wait to come home. 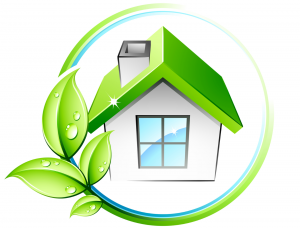 Why Choose GSR House Cleaning Service Glen Iris? All our professional and friendly Glen Iris cleaners are very approachable. Just let us know your requirements and we will make sure that every inch of dust and dirt is removed. Our priority is to see you all satisfied as we remove the burden of cleaning off your back. We treat all our customers like our families and friends and we do our best to give you the cleanest and tidiest residential property in Glen Iris as possible in terms of cleaning service. Need fast and quality same-day cleaning service in Glen Iris? You do not have to look further. We have the right cleaning protocol and we follow Australian Standards in cleaning, making sure that you are well taken-care of. We can provide you with quality one-off cleaning and can work flexibly in bringing you superb home cleaning on a regular basis. At GSR, you will feel confident that your homes, apartments, flats, dorms and other residential properties are kept at the highest clean state as possible. You don’t have to settle with cleaning services that do not meet your requirements. Our team strives to keep you satisfied with every cleaning operation we provide you. All our cleaners are police-checked and we will leave your place spotless! Want to hire a house cleaning service today? Call GSR House Cleaning Service Glen Iris now at 03 9547 7477 for a no-obligation consultation!